You couldn’t make this stuff up if you tried. 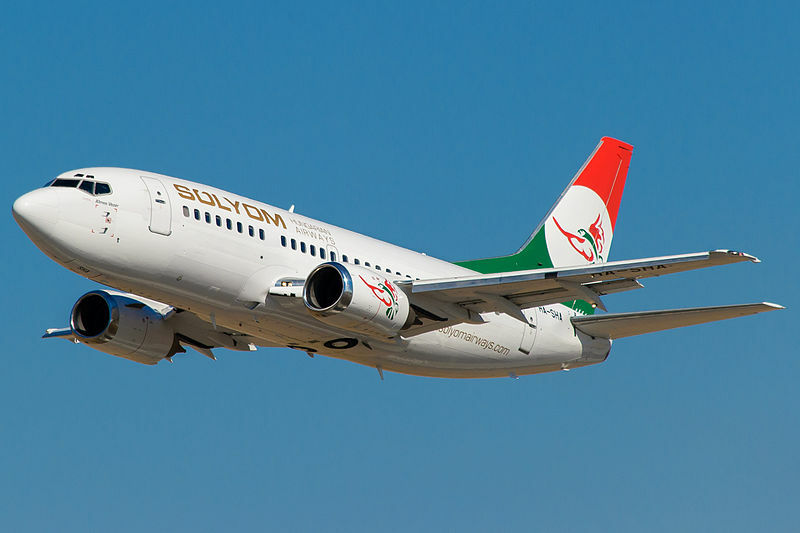 With the collapse of the state airline, Malév Hungarian Airlines in February 2012, there was much optimism that Solyom Hungarian Airways would replace it as a full-service carrier instead of the dramatic LCC takeover of Budapest airport by RyanAir and Wizz Air. With much fanfare, the first of Solyom’s jets landed at Budapest Airport to a special welcome ceremony. Soon after that things took a strange turn. In many ways the fundamental basis for the airline’s launch is flawed. First of all, the name: Solyom (Hungarian for falcon) is virtually unpronounceable for non-Hungarians. Hungarian TV did a report on this asking foreign visitors to Budapest to pronounce the name with some humorous outcomes. Second, the airline decided to lease 20-year old Boeing 737 jets – hardly cutting edge and not exactly fuel efficient. Third, one important source of finance was reportedly from the Persian Gulf state of Oman and Mahan Air from Iran. Fourth, ever since the announcement of the launch, the management of the airline kept pushing back the launch date. On October 10, 2013 the airline announced it would be unable to pay staff salaries as well as being unable to secure financing from Oman. This led to speculation that Solyom was to be grounded even before it took off. Air Transport World, a leading industry website reported on October 22 that Solyom had filed for bankruptcy and that it’s management had gone into hiding. This led most commentators (myself included) that Solyom was to become a footnote in aviation history. However by October 30, the company’s spokesman Tamás Hévízi asked for speculation to die down while necessary certification and permits were obtained by Solyom. There appear to be two sub-plots at work here. First is that Mahan Air may be anticipating the relaxation of economic sanctions on Iran given the change of regime there and an apparent thawing of relations with the US and the EU. It may make a partnership with Solyom superfluous in that case. Second are more sinister claims that Wizz Air is using its political connections to frustrate Solyom’s certification in Hungary. Whether Solyom gets off the ground or not, it’s handling of PR has been, to put it mildly, pretty awful.